Accepting that healing occurs within the individual acknowledges that medical care alone cannot facilitate the patient’s capacity for restoration. So, to achieve the best outcomes, it is necessary to care for the whole person. That means engaging the humanity of the patient as expressed physically, emotionally, and spiritually. 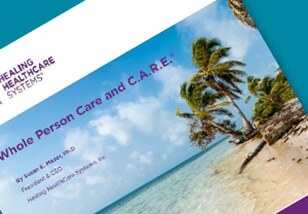 In addition, the physical environment in which Whole Person Care is delivered is critical to achieving its goals. 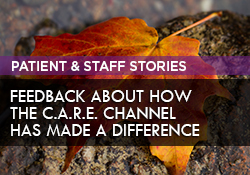 From its inception, The C.A.R.E. 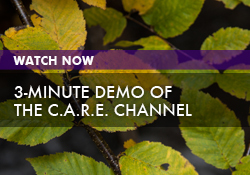 Channel has embodied the very core of Whole Person Care by providing a multi-sensory experience to help create a healing environment throughout the continuum of care.